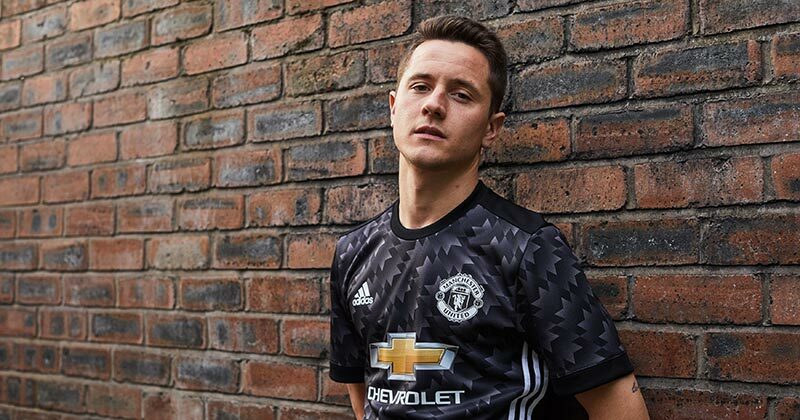 Inspired by an iconic early 90s shirt, adidas and Man Utd have dropped a modern day classic away kit for the 17/18 season. 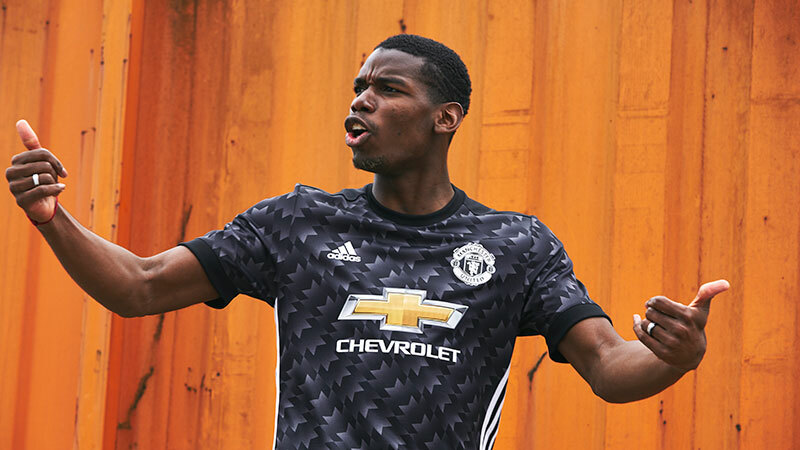 Designed with one of their most iconic strips in mind, the Red Devils will be playing away from Old Trafford in a nostalgia inducing black number for the 2017/18 season. 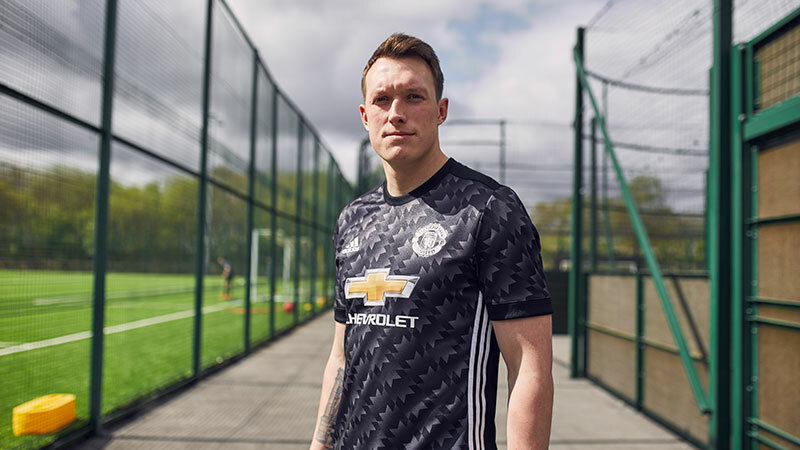 The black and white strip, with gradient shades of grey in between, stands out thanks to the bold graphic pattern — which Manchester United fans will fondly remember from the 1990-92 away shirt. Featuring one of the club's most iconic kit designs, the pattern of the original kit has been reimagined on a black background with white hues. The accents of the kit are in all white, with the MUFC badge, adidas logo and classic three stripes popping off of the shirt. Rounded off with a simple crewneck, this is a shirt which is as much at home on the streets as it is on the pitch. The kit features all the innovations you'd expect from adidas, with ventilated climacool elements to keep you cool and dry. The shirt is also part of the adidas sustainable product program, which ensures products are made in a more sustainable way to make the world a better place. Finished off with black shorts and socks, it's a very sleek all black kit — meaning refs will probably be donning their brightest shirts to avoid a kit clash! This isn't the first time the design has been brought back, there was a hint of it on the 2015/16 third shirt. 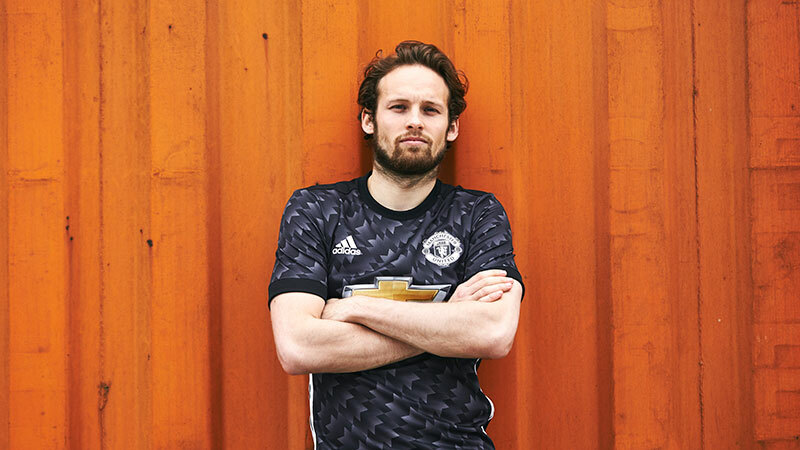 The guys and girls over at the adidas design department have taken the hint and once again made the pattern centre stage on United's latest away kit. You can shop the full MUFC 2017-18 away kit range at FOOTY.COM and find the best prices around.